I recently met a guy in CZ republic called Pavel Horky. Pavel is an electronics wizard and has been building handmade custom tube guitar amps for some time. I got use them on a Czechomor tour and I can attest that they really do rock ! 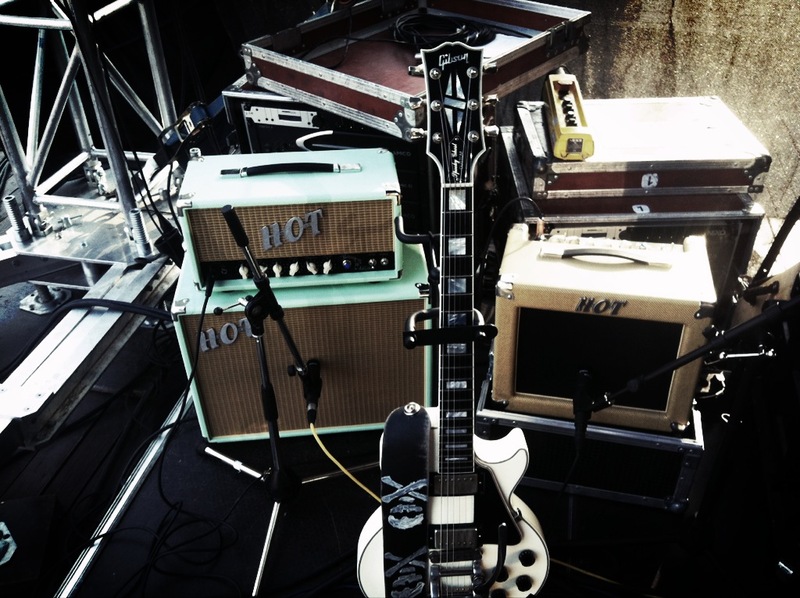 His company is called Hot Amps. (see link and the end of post). Anyhow, he has been designing pedals now also and we got to talking about a Reverb Pedal he has recently made. I told him about this idea I had for a Reverb Pedal with a “momentary setting” for special effects. He told me that he could build it for me. Well lo and behold when we played Prague a few days ago he showed up with it all done. 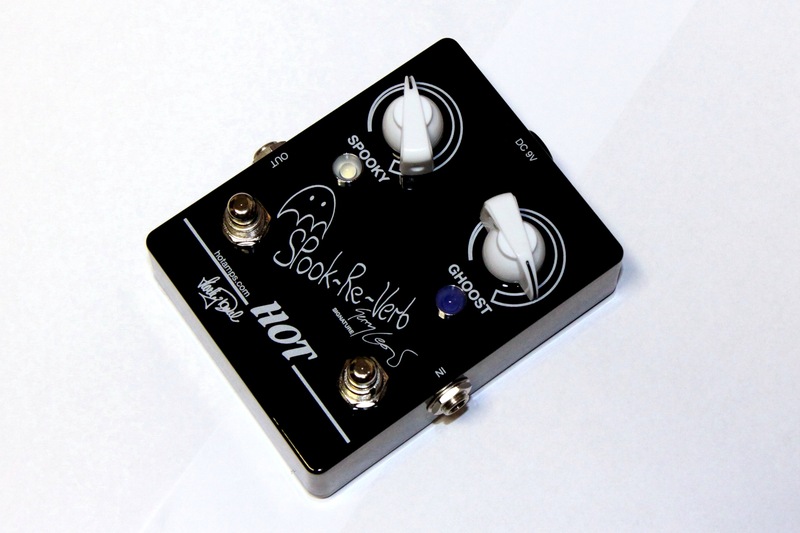 It sounds amazing and has along with a regular reverb setting, it has a “Ghoost” switch that only gives you reverb when you depress the button, and when you let the button go the reverb goes away, back to dry or regular depending on how you have the other button set. Perfect ! I am very happy and proud. I even bought two of his distortion pedals as a victory lap ! Perhaps I can post a sound clip soon. 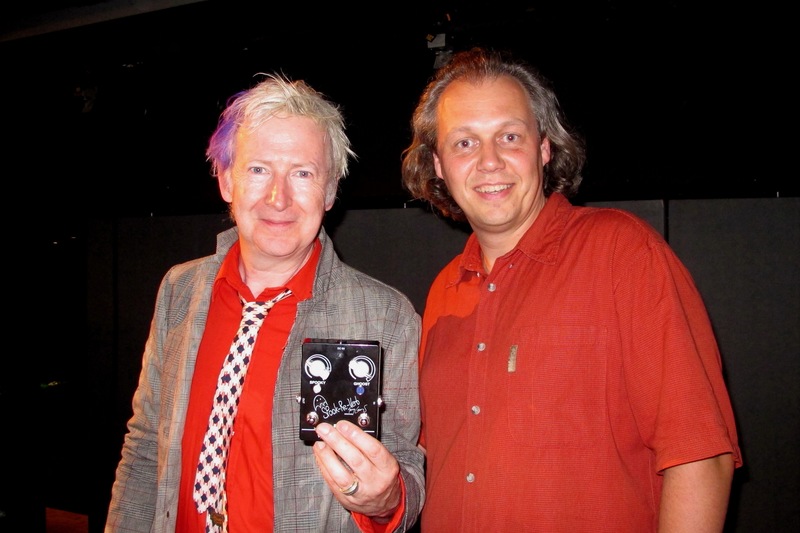 This entry was posted in Gear, Gerry Leonard, News, SPOOKYGHOST, suzanne vega, Tour and tagged David Bowie, davidbowie, Gerry Leonard, gerryleonard, gerryleonardgear, Hot Amps, news, spookyghost, spookyghostgear, Suzanne vega, tour. Bookmark the permalink. please put up a clip Gerry!! !